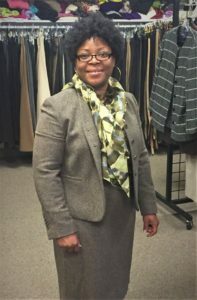 Dress for Success empowers women to achieve economic independence by providing a network of support, professional attire and the development tools to help women thrive in work and in life. 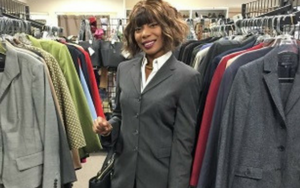 Women obtain what they need for an interview — from clothing to confidence — and can return once they find employment for the apparel and accessories needed to enter the workforce. Our purpose is to offer long-lasting solutions that enable women to break the cycle of poverty. Dress for Success is part of a global movement for change, empowering women to obtain safer and better futures. We provide each client with professional attire to secure employment, but we are about much more than simply a new outfit. Besides providing the client with apparel and accessories, our Professional Women’s Group (PWG) encourages employment retention and career development by providing a safe environment to network with other women and receive training from volunteer professionals. The PWG meets monthly and includes networking and career development workshops focusing on financial literacy, the written and unwritten rules of the workplace and achieving work life balance.